I'm designing a website that's nested within a much larger organization's site, and I've run into a problem with designing the navigation. The parent site's nav has the links "research" "education" "translational" and "about" respectively. Each of these links to pages that describe what the overall organization does. The nav for the sub-site also has its own specific "research," "education," "policy-making," and "about" sections. I'm not sure how to design this so that the audience knows that each link in the sub-menu is specific to the sub-organization. As Majo0od pointed out, it makes more sense to hide the menu of the parent organization until the user needs it. And if they're already on the sub-organization's site, they probably don't care about the nav of the parent organization. So I'm reducing the parent site's menu to just have the logo, which will take users to the parent's home page when clicked. I think that in your case it is crucial to make users not thinking that the main navigation of the sub-organization is just a sub-menu of the navigation of the large organization's website. In the desktop viewport I would probably opt for a vertical navigation on the left, leaving the parent site's navigation on a pre-header. On the mobile viewport I would keep only the sub-organization main menu, as already suggested, and relegate the parent site's navigation in the footer. Nielsen Norman Group refers to this scenario as Universal Navigation. Definition: Universal navigation provides a link to the main homepage of a website from subsites, sections, or microsites. Sometimes it includes links to the main site’s top categories, in addition to the link to the universal homepage. The article is worth reading in its entirety as it gives guidelines based on different usage scenarios. I would recommend you do user research to discover what the usage scenarios are for the site so you can select the best option. If you are moving ahead with hiding the navigation and using a single link to the main site, it's recommended that you use the site's domain name rather than the logo and place it in the left hand corner. Not the answer you're looking for? Browse other questions tagged usability navigation menu information-architecture dropdown or ask your own question. 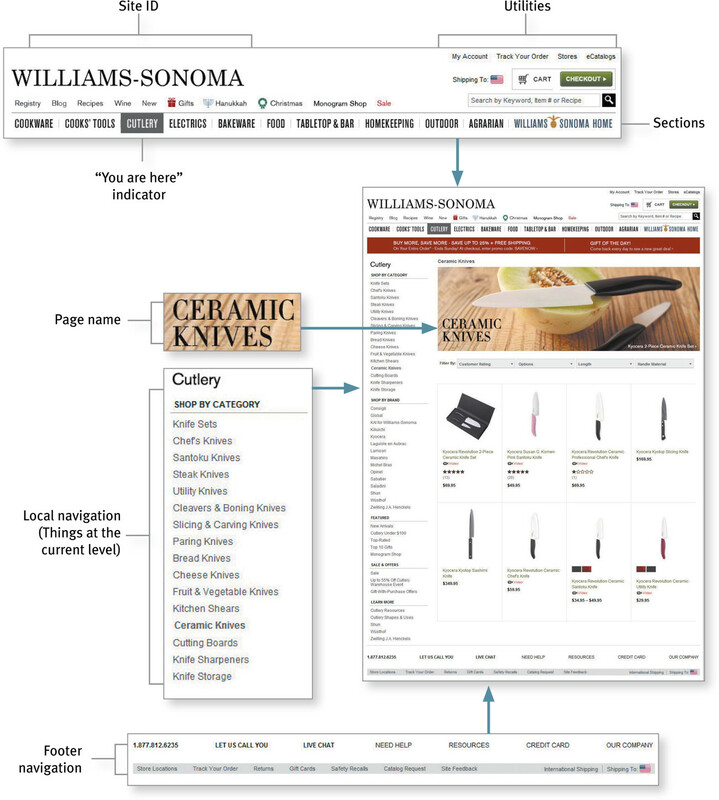 How do you effectively steer a user OFF your site and onto another one? What is the best way of displaying nested categories with very long names? What happens when a primary nav link is used as a sub-menu item of the same link?